As the splendid summer days of South Carolina come to a close, we welcome the milder temperatures of the vivacious fall season in the Palmetto State. And there's no better way to celebrate the season than with picking some plump pumpkins, festivals with your friends, and ghostly tours. 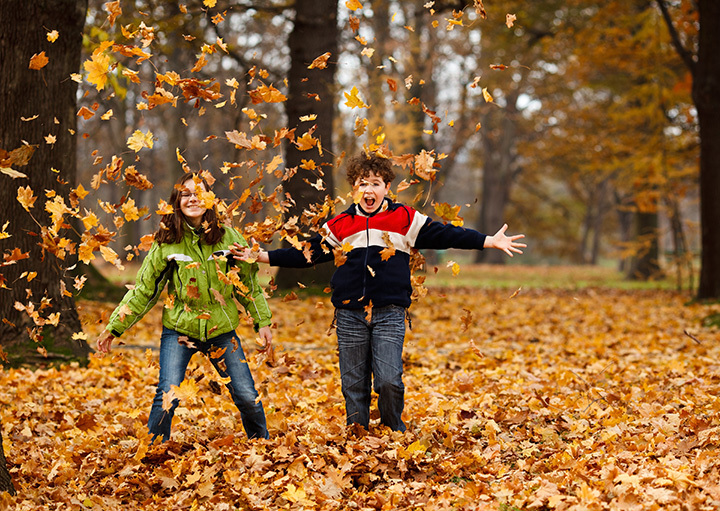 Here are the 15 best fall activities to do in South Carolina. South Carolina knows festivals, which is why you find an abundance of them nearly everywhere you go. And while it's hard to pick and choose, award-winning Fall for Greenville is a definite go-to. Lining the edges of historic Main Street, you'll savor flavors of over 40 different local food vendors while relaxing to the beat of free entertainment. With the zombie craze enjoying peak popularity, Paintball Central in Rock Hill didn't miss a beat cashing in on the hype. Hop on a hay ride into the zombie apocalypse to defend the city and put an end to the living dead madness. Using special glow-in-the-dark zombie-certified rounds, it's up to you to save the town from utter destruction. The terror begins the moment you park your car. The haunt features attractions like "Darkness," a half-mile of indoor/outdoor fright that preys upon your deepest fears and keep you away from a good night's sleep. If you're too afraid of the "Darkness," see if you have the smarts and skills to escape from Alcatraz or the ancient tomb. Where there's a farm, there's probably a corn maze. You might not notice at ground level, but many corn mazes are quite artistically detailed, giving birds and low-flying planes some early Halloween eye candy. For heart-racing thrills, check out Cherokee County's Field of Scream haunted corn maze. For more family-friendly meandering, take a field trip to Denver Downs Farms, where you'll find Charlie Brown, Snoopy, and the rest of the Peanuts gang. The ghost enthusiast in all of us tends to rear its spooky head when October creeps around. And there's no better time to learn about South Carolina's hottest haunts than during a fall ghost tour. If you're brave enough, join the 90-minute Ghost & Graveyard walking tour in Charleston, where you'll enter the gates of Charleston's oldest graveyard and visit some of the city's most talked about haunted sites. Or, if you can't make your way coastward, Greenville's Ghost Tours and Paranormal Investigation fills 90 minutes of your life with harrowing, true local tales while walking through downtown's historic district. Cool fall weather makes the perfect time for a family trip to the farm, and South Carolina's got lots of them. Everyone from Nana to the newborn can enjoy seeing animals like goats, pigs, and horses, plus most farms offer plenty of onsite activities to turn any fall day into an anticipated yearly tradition. If you're on the coast, take a trip to Legare Farms or Holiday Farms; Midlands folks will love Clinton Sease Farms or Lever Farms; and Upstate dwellers can count on Berry Acres Farm or Stewart's Farm for family fun. You don't have to be German to love Oktoberfest. Typically filled with kielbasa, lederhosen, and das boot beers, Oktoberfest delights with traditional German music, dancing, cuisine and, of course, beer. Though usually only short-lived weekend festivals, you'll find plenty of them across South Carolina, including Columbia, Charleston, Rock Hill, and the authentic German-roots town of Walhalla. Whether you come for the rides, the food, the crafts, or the livestock, you'll find a fall fair in just about every county in South Carolina. The South Carolina State Fair in Columbia is by far one of the biggest, and one with some of the most outrageous draws- chocolate-covered bacon, doughnut burgers, and fried Snickers, to name a few of the food oddities. There's certainly never a shortage of pumpkin patches in South Carolina. From churches and schools that provide pumpkins for fundraisers, to farm-fresh pumpkins and other family-friendly festivities, you can ditch the lines at the grocery store and pick your gourds the old-fashioned way. Most of the farms that feature pumpkin picking usually provide plenty of other activities, like corn mazes, games, and hay rides. If you're in the Upstate, a trip to Denver Downs Farm is a must. For Midlanders, check out Clinton Sease Farms. And if you're lucky enough to live on the coast, Boone Hall Pumpkin Patch doesn't disappoint. Spend an hour - or spend the day. If you didn't get your fill of two-wheelers during the spring gathering, riders rally once more in Myrtle Beach to cap off the season. Typically lingering in Surfside Beach and Murrell's Inlet, motorcycle enthusiasts from all over assemble to showcase their bikes, enjoy "daycations" with fellow riders, and enjoy a host of late night revelries all week long. It's one music festival out of hundreds in South Carolina, but with such a unique backstory it's worth the trip. Every year, the festival draws swarms of fans and some top notch bands and artists to Charlie B's Ranch Arena. Back in the day, Charlie B's Ranch Arena played home to some of the biggest rock bands of the 70s, including Fleetwood Mac, ZZ Top, and the Marshall Tucker Band. There's nothing quite more refreshing than crisp, clean mountain air. Take a drive up Highway 76 for some apple picking in Long Creek. Or, for more scenic mountain vistas, a trip up Highway 107 or Highway 28 to Mountain Rest will give you the best views of nature's fall color palette. Enjoy rustic dining and envelope yourself in rich South Carolina history at Living History Park. The host, Deadus Canby, delights your ears with tales of songs and stories while you sate your appetite with "rabbit's delight" and other tasty menu items. It's one of the many high points of the low country. The beautiful waterfront town of Beaufort hosts a vintage fair filled with local artisans, farmers, and entertainers. Enjoy the rides, sample local flavors, catch a seat on the hay ride, and more! You'll find plenty of mansions of mayhem and fields of fright throughout South Carolina. Some of our favorites include Booger Jim's Hollow, Fear Farm, and Terror Under the Bridge.